Dry Eye and Irritation kind of state you may have felt in your eye(s). This may give you feeling of congestion or pressure on your eye as well. This is common to most professional who need to stare at thing. One such profession is Information Technology (IT). So, this dry eye is part of Computer Vision Syndrome as well. As home remedy, you can do some exercises or Yoga. Other than that, you can give your eyes warmness to simulate tear producing glands. Over the counter eye drop are also available. If you feel dry eye problem then do not just ignore this. Follow the above to see if it works or see the doctor. "Add Tears" is one drop from Cipla which is for eye lubrication. Yogic methods can prove helpful for long lasting effect and cure. Trakata and other mentioned here are good for your eyes. Trakata helps in concentration as well. If you need more info, then search internet. 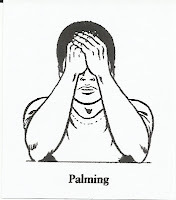 Palming is another method to give your eye some support. It can be done anywhere and help for short time. 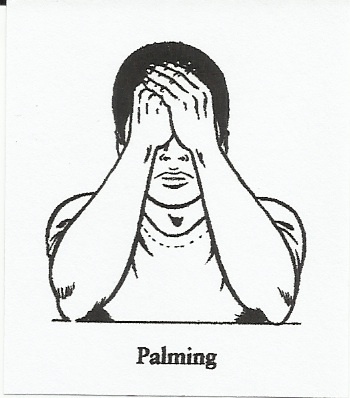 Rub your hand for few seconds and put your palm on your eyes for few seconds / minutes. Don't pressurize your eye. Just put your palm with gentle touch. Eye supplements are also available. If you eat outside and don't take much vegetable (green) then you can use this to see the effect before visiting the doctor. Again do not wait long for your eye problem.